The Regulatory Reform (Fire Safety) Order 2005 requires that any commercial premises with more than 5 occupants, whether an oﬃce, shop, hotel, healthcare facility or shared accommodation etc. must ensure that a thorough Fire Risk Assessment has been carried out by a Competent Person and is reviewed at regular intervals. The Order has been rigorously enforced since 2006, with large ﬁnes and potential imprisonment imposed on the Responsible Persons for signiﬁcant breaches. As a business owner, employer, landlord, or individual who maintains control of the property, you are the “Responsible Person” and are ultimately accountable for the ﬁre safety of that premises and the individuals within it. 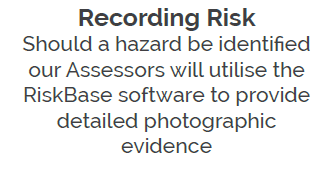 Whether you have an existing Fire Risk Assessment in place and require a review or you need an initial assessment undertaking by a competent and qualiﬁed professional, we have the resource and experience in place to support you. 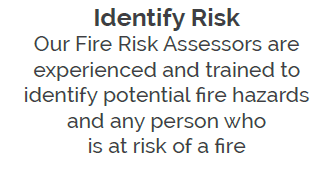 In order to comply with this order, FAFS Fire & Security can provide a comprehensive Fire Risk Assessment solution designed to identify and reduce your risk of fire. Our highly qualified and experienced Fire Risk Assessors are experienced in identifying and addressing the needs of all users of your premises and providing advice about how you can comply with all relevant legislation. 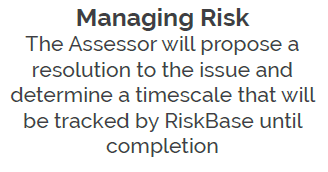 We use RiskBase, a web-based platform, to tailor each assessment to respond to the unique characteristics and requirements of your site and provide a traceable resolution for each identified risk. As an assurance to you FAFS Fire & Security utilises a BAFE Life Safety Fire Risk Assessment SP205 registered company. This Scheme has been developed by industry experts to help you identify who can support you in fulﬁlling the requirements of the Regulatory Reform (Fire Safety) Order 2005. 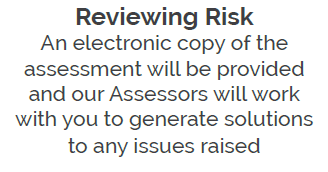 The Scheme ensures that our partners have the required technical and quality management capabilities and qualiﬁed Assessors to provide a compliant Fire Risk Assessment solution.